And then there is Yemen where a ragtag coalition – hardly worth the name – of Saudi-paid mercenaries is trying unsuccessfully to crush a rebellion and democratic movement (inaccurately referred to as a Houthi-ethnic revolt) in order to restore “their man,” Abd-Rabbuh orted against that country, this despite the fact that a major U.S.-supported war continues to devastate the country.1 Unless using Democracy Now!, Truthdig, or Foreign Policy In Focus as main news sources, it is unlikely that people within the United States even know there is a war going on, to say nothing of the whys and hows, or where Yemen is even located. Peace talks between warring factions in Yemen that collapsed a month ago, are scheduled to resume in a couple of days in Switzerland. They will coincide with a week’s ceasefire between the warring parties more than likely to be put in place at the same time. As a part of the ceasefire, Saudi Arabia has agreed to temporarily suspend its bombing campaign. While statistics vary as to casualty rates (with sources friendly to the Saudis claiming 2,500 dead, an Australian source gives a much larger, 6,000 figure) often missing from the picture is that war has already created 200,000 refugees, people who have fled the fighting which has engulfed essentially the whole nation. In the political vacuum created by the war, Al Qaeda has strengthened its position in the country’s southern regions. While some sources say that the Obama Administration is less than enthusiastic about this Saudi-led war, essentially to return former Yemeni president and Saudi ally Abd-Rabbuh Mansour Hadi to power, Washington’s actions suggest that they are very much involved, as a part of the Obama Doctrine, first articulated in a May, 2014 West Point speech, to give its local allies more military responsibilities so that the United States can concentrate its security efforts more substantially on Asia. Beyond giving more military responsibility to Washington’s U.S. allies – Turkey, Israel and Saudi Arabia – the Obama Doctrine appears to have as a long-range plan the continued pulverization of Middle East states formed as a result of the 1916 Sykes-Picot Agreement, the destruction of Iraq and Libya being the first steps of a broader process. The vision is to break up what had been stronger (if authoritarian) Arab states into smaller post Sykes-Picot ethnic units. In the pre-Obama Doctrine phase the United States played a more dominant military role, in the current period, more of that responsibility is pawned off to the regional allies. If Yemen is any indication, the plan is not working very well. Despite mounting evidence of Saudi atrocities and possible war crimes as a result of Riyad’s air campaign in Yemen against civilians – mostly done by U.S. provided jet fighters using largely U.S. made weapons – the Pentagon recently announced on November 16, that the U.S. has approved a $1.29 billion arms sale to Saudi Arabia.2 As reported in an article on the arms sale that appeared at Truthdig, the U.S. State Department on Friday approved the sale of over 10,000 bombs, munitions, and weapons parts produced by Boeing and Raytheon. This in addition to one of the biggest arms deals in history done by then U.S. Secretary of State, Hillary Clinton, totaling more than $60 billion in U.S. arms to the kingdom a few years ago. Yemen’s importance to the United States is a result of its strategic location at the mouth of the Bab El Mandeb Straits, southern entrance to the Red Sea and a major oil, natural gas and commodity shipping lane, one of the world’s major maritime “choke points.” The only acknowledged U.S. military base, Camp LeMonnier, lies nearby in Djibouti, on the African coast just across Bab El Mandeb from Yemen. Add to this that U.S. drone attacks against the country which have gone on for more than a decade, continue. On a number of occasions – although the details are sketchy – there have been reports of U.S. Special Forces in Yemen acting as advisors to the so-called Saudi-led coalition. U.S. Special Forces there in support of the Hadi government supposedly pulled out of the country in March, one of the few places where their presence has been openly acknowledged. While not directly related to the Obama Administration, still U.S. mercenary recruiters that never work that far from the Defense Department have been active too. Recent Latin American press reports, substantiated by a report in the New York Times, have surfaced claiming that as many as 800 Colombian mercenaries trained to fight in mountain terrain have been hired by the Saudis to do the kind of ground fighting the Saudis and their Gulf allies have proven incapable of doing in Yemen. They join a growing group of mercenaries from as far flung places as Australia, Argentina, Mexico, some of whom were recruited by a private company run by Eric Prince, founder of the former Blackwater security firm. Saudi Arabia has given three reasons for its war against Yemen: 1. To restore President Hadi to power. 2. To crush the Houthi Rebellion 3. To limit what it continually criticizes as the growth of Iranian influence there. None of these reasons stands up to scrutiny. Hadi’s government had failed to address the country’s deepening economic and social crisis. This was the main reason for his removal from power. True enough, the Houthis – a Shi’ite offshoot group with strong roots in Yemen’s northern regions – have long been a thorn mostly in Saudi’s sides, they have legitimate grievances against both the Sana’a government and the Saudis who have continually interfered with Houthi political and religious life along Yemen’s border with Saudi Arabia. Finally while Iran has offered the Houthis aid, they are a completely indigenous movement with one of the strongest and most able local militia’s in the region. Although repeated in the U.S. media ad nauseam, the claim of them being an Iranian proxy is grossly exaggerated. The Houthis had agreed to a power sharing agreement with a reduced role for Abd-Rabbuh Mansour Hadi, ie – they, and the other parties involved, were willing to let Hadi remain in place. They had agreed to withdraw their militia’s from the country’s capitol, Sana’a to be replaced by a national unity security force that United Nations experts had prepared. In return, the Houthis would have gotten about a 20% share of government control. But Hadi rejected these terms as did the Saudis and while the negotiations were still in progress, Hadi called for and got Saudi military support; the Saudis started their bombing campaign. Other more pertinent reasons for Saudi’s Yemen offensive exist. While there are a number of factors involved, the Saudi’s great concern was to prevent the Arab Spring spreading to the kingdom, the political winds of which threatened the regime’s legitimacy: Stop it in Yemen before it spreads to Saudi Arabia. One of the main reasons the Saudi’s fear political change in Yemen is that they worry it could have a spillover effect within the Saudi kingdom itself; about 10% of Saudi population is Shi’ite and resides mostly in the country’s oil rich eastern regions not far from the Persian Gulf. A systematically repressed (and rebellious) population the Saudi royal family fears a political change in Yemen could stimulate demands for political change in the Saudi kingdom itself, something it understands – with the examples of Tunisia and Egypt in mind – that it probably could not control. Saudi Arabia considers Yemen little more than its backyard, and has intervened in that country repeatedly. It simply does not tolerate a government in Sana’a that it cannot control and that is precisely what appeared to be taking shape earlier this year as the Hadi government first wobbled and then fell not to the Houthis alone but to a coalition of forces. Finally, the Saudi offensive in Yemen is something of a “consolation prize” offered by, or at least tolerated by the Obama Administration. As is well-known, the Saudis and the Israelis adamantly opposed the nuclear deal concluded between Iran and what is referred to as the P5 + 1 (Permanent members of the U.N. Security Council plus Germany). While much attention in the media and the U.S. Congress was placed upon Iran’s nuclear energy program, there was much less emphasis given its political consequences: the United States and Europe entered into a less confrontational relationship with Iran, Iran’s regional influence has grown some and that of Israel and Saudi Arabia somewhat declined. These considerations, much more than fears of Iran’s nuclear capability, were behind Israeli and Saudi opposition, an opposition which they made repeatedly crystal clear. And in classic contradictory fashion, the hallmark of the train wreck that has been U.S. Middle East policy for some time, at the same time that Washington was toning down its rhetoric with Iran, helping to ease regional tensions a bit, it was simultaneously ratcheting up those tensions with major arms sales and transfers to both Israel and Saudi Arabia, and in the Saudi case, despite some reservations perhaps, giving important intelligence and logistical support to the Saudis concerning Yemen. Probably one of the main reasons for the reopening of negotiations in Geneva stems from the fact that for the Saudis, the war in Yemen – their public statements aside – is going badly, very badly. Their bombing campaign – no replenished with more U.S. weaponry – has done a lot of damage to the country’s civilian population but not hurt the Houthis and their military allies (many supporters of an earlier Yemeni president, Ali Abdullah Saleh) on the ground. The Houthi-led coalition has destroyed a number of Saudi ships in the Red Sea, they have overrun a number of Saudi positions along the border. Indeed the Saudis are rather notorious for the ineffectiveness and poor training of their ground army, which is good for little more than police activity. It has proven to be no match for the battle-hardened Houthis. This situation – the ineffectiveness of the Saudi ground forces – has led Hadi and the Saudi government to ally itself, and rely more and more heavily on, of all things, Al Qaeda of the Arab Gulf. The same forces which since 2002 the United States has been targeting with drones in order to neutralize them are now part of the Saudi-led military effort in Yemen. Furthermore, Saudi Arabia has tried to put together a kind of grand alliance, allies to help it do the fighting, with the Saudis essentially doing what they do best – spending money to buy mercenaries. It had hoped that both Egypt and Pakistan, Moslem countries with strong militaries, but enter into the fray on its behalf, but to no avail. Although the Saudis helped the Egyptian military overthrow the Morsi government in Cairo, Egypt, which a half century ago, got burnt badly by its military expedition in Yemen, refused to send troops. Pakistan, in what was a rather cynical – but effective move on their part – put the question of sending their troops, still heavily involved in intrigues in Afghanistan mostly in support of their own creation: the Taliban and with the never-ending tensions with India over Kashmir, also demurred. The Gulf States (U.A.R.) did send some troops but they proved to be as ineffective as the Saudis themselves and are pulling out. So, as mentioned above, the Saudis are looking further afield, to mercenaries from Latin America (Mexico and Colombia are repeatedly mentioned). These mercenary forces find themselves also “militarily challenged,” the mountains of Colombia being not quite those of Yemen. One recent Iranian news report (see the video clippage from this report) picked up by an Australian news service noted that six Colombian mercenary troops and their Australian officer were recently killed in the fighting. If Yemen is any indication, the plan is not working very well. Indeed, Yemen is turning out to be “Saudi Arabia’s Vietnam.” It is the Saudis — not the Yemen opposition this time — that has pressed the United Nations to go back to the negotiating table. Besides being hit on the military front, Saudi’s Yemen war is costing Riyadh economically, at a time when the kingdom is suffering from mounting foreign debt and causing deepening rifts just below the surface among the Royal family between those who want to persist with the war and those who want to end it and cut their losses.Mansour Hadi, to power. Riyadh has failed miserably in this effort, and this is probably the main reason why it is limping back to the negotiating table in Geneva. There is precious little news about developments in Yemen in the U.S. press, where, since March of this year, a U.S.-supported, Saudi-led military assault continues unabated and generally under-rep[orted]. Let us recall the 2006 National Geographic survey asking Americans ages 16-24 about the geographic location of different Middle Eastern countries. 63% could not locate Iraq correctly on a map although the United States had been at war in the country since 2003. Although only two years after the devastating 2004 South Asian tsunami, 75% could not identify Indonesia on a map; nor did they have any idea that it, and not some Middle Eastern country, is the largest Muslim country in the world. Given the poor education in geography in most U.S. high schools which hasn’t gotten any better in the past decade, it is unlikely that the picture has changed much if at all. In the same way that general information about Afghanistan, Iraq, Syria is largely unknown to the American public – their very location to say nothing of their history, or why the United States is engaged militarily there – American knowledge of, or interest in what is going in Yemen is sketchy at best, non-existent for the most part. Ignorance of global geography has political consequences. It permits governments and their informational services, the media, to spin faraway events to their liking in such ways as to justify war and garner public support for such. So it was with the major escalation of the U.S. military commitment – otherwise known as an invasion – of Vietnam in the early 1960s based on a fabricated incident (Bay of Tonkin Incident), the U.S. led invasion of Iraq (based upon the false claim that Saddam Hussein’s regime possessed weapons of mass destruction and was allied with Osama Bin Laden, architect of the September 11, 2001 terrorist attack in the United States) by way of the more egregious, but by no means only, examples. About the author: Rob Prince is a retired Senior Lecturer of International Studies at the University of Denver’s Korbel School of International Studies. He frequently writes about economic and political developments in North Africa, especially Algeria and Tunisia. He blogs at View from the Left Bank. Comment: This is an excellent article in terms of the Saudi-US alliance against Yemen, making very pertinent and astute points. It does not address the polarisation within Yemen, and the roles of conflicting militias, only addressing the Houthi uprising and militias, which it is generally very positive about - and certainly it fully addresses the weaknesses of the GCC armies in fighting in mountainous terrain, and the inabilities of the newly acquired mercenaries to adapt to the Yemen mountains. There is no mention of the embargo and the role of the US navy, which is probably killing more Yemenis at this time than the conflict is. There is a chance now to end the civil war in Yemen as the government of President Abdu Rabbu Mansour Hadi and the Houthi rebels begin peace talks in Switzerland amid a cease-fire. The track record for the two sides does not inspire confidence. Two previous peace efforts failed, and the run-up to this one was marked by intensified violence. But the warring sides cannot defeat each other on the battlefield, as Deputy Crown Prince Mohammed bin Salman, Saudi Arabia’s inexperienced defense minister, seems determined to do. The Saudi coalition and forces loyal to the Hadi government are fighting in Yemen’s southern and eastern regions and have reportedly made few significant gains since securing the port city of Aden last summer. The Houthis and troops loyal to former President Ali Abdullah Saleh have held their own in certain areas but have been unable to take control of the whole country. Human rights groups say all the warring parties share blame for the catastrophe and have displayed a careless disregard for human life. But the Saudi-led coalition, crucially supported by American intelligence, has been responsible for most of the deaths. Given this irresponsible record, it is baffling and disgraceful that the Obama administration is proceeding with the sale of $1.29 billion in arms to Saudi Arabia, mostly smart bombs that can be used to continue the killing spree. Congress could have blocked the sale but instead merely extended its review of the matter and delayed the transfer of weapons for 30 days. Although America and Saudi Arabia have long been security partners, Washington should not provide weapons and intelligence if the Saudis use them in a way that increases conflict in the region. There is no credible alternative to a political solution that would allow the Houthis to share power with the Hadi government. That must be the focus of the peace talks. Otherwise the humanitarian disaster will continue and Yemen will remain a dangerous diversion from the far more serious threat of the Islamic State. The health and humanitarian situation for the civilian population in Yemen has reached catastrophic levels. The situation in some governorates is especially critical: 100 percent of the population of the Aden governorate and more than three quarters in the Taiz governorate are in need of humanitarian assistance. Since September, fighting has intensified in Taiz, and almost 240,000 vulnerable civilians are living under a virtual state of siege. In other parts of the country, the conflict has crippled the health system, making the delivery of health services and supplies extremely challenging. Almost 70 health facilities and 27 ambulances have been damaged, and there is a shortage of health workers, limiting access to health care. Dr Ahmed Shadoul, World Health Organization (WHO) Representative to Yemen, explained the difficulties involved in the distribution of supplies. Currently, WHO and health partners are providing essential medicines, supporting health services and providing mental health psychosocial support in hard-to-reach areas through mobile clinics and primary health care centres. However, more funding is required to ensure that disrupted services are restored. The World Health Organization and health partners are appealing for US$ 31 million to ensure the continuity of health services for nearly 15 million people in Yemen affected by the ongoing conflict. Funding is urgently needed as the Yemeni health system has collapsed, leaving millions of vulnerable people without the care and medications they urgently need. The first day of talks appears to have ended with "cautious optimism," one of the delegates who requestted anonymity told Middle East Eye. Representatives from rival sides had sat down with each other for hours, with the last of Tuesday's sessions ending at 11pm local time. Negotiations are expected to continue until Sunday. Participants include representatives of the Yemeni President Abd Rabbuh Mansour Hadi on one side; and members of the Houthis and their allies, the General People's Congress party (GPC) led by former President Ali Abdullah Saleh, on the other. While officials from both sides told Reuters on Wednesday that a large prisoner exchange had been agreed, sources subsequently denied the reports to MEE. This trust-building phase is composed of three key steps: respecting the ceasefire agreement; the release of all political prisoners held by the Houthis - including the former defence minister; and, finally, allowing humanitarian aid into Taiz with immediate effect. According to al-Yemany, “these are simple requests that can be implemented instantly. If they are not, then we will know that these talks have failed." At the forthcoming UN Security council meeting, scheduled for the 22 December, the Saudis are likely to come in for severe criticism if the current negotiations are conducted with the same nonchalance as the previous round. Die Konfliktparteien im Jemen haben einen Austausch Hunderter Gefangener vereinbart. Dies sei eine vertrauensbildende Maßnahme, um die vereinbarte Waffenruhe zu unterstützen und die Friedensgespräche in der Schweiz voranzubringen, teilten beide Seiten am Mittwoch mit. 265 Zivilisten sowie Kämpfer von mit Präsident Abd-Rabbu Mansur Hadi verbündeten Truppen sollten im Gegenzug für 360 Huthi-Rebellen freigelassen werden. Der Gefangenenaustausch gilt als eines der bislang wichtigsten Signale für die Verhandlungsbereitschaft in dem seit neun Monaten andauernden Bürgerkrieg. Yemen's warring parties are reported to have exchanged hundreds of prisoners, as UN-brokered talks aimed at ending the conflict in the country continue. The swap involved 360 members of the rebel Houthi movement and 265 civilians and pro-government fighters, officials told the Reuters news agency. Al-Arabiya TV said it took place in the southern province of Lahj. The UN encouraged both sides to agree to prisoner exchanges when the peace talks began in Switzerland on Tuesday. A senior official in the Southern Resistance, whose forces are allied to President Abdrabbuh Mansour Hadi, told Reuters on Wednesday morning that the prisoners would be exchanged at midday (09:00 GMT). An official from the Houthi-run prisons authority in the capital Sanaa, which the rebels overran in September 2014, confirmed that southern prisoners had boarded buses to the border between the former North and South Yemen. Witnesses in the southern port city of Aden, where the government currently has its headquarters, also told Reuters that they had seen buses guarded by local fighters travelling through the city. Yemen's warring parties agreed on Wednesday to exchange hundreds of prisoners in a move aimed at supporting U.N.-sponsored peace talks which resumed for a second day in Switzerland, but both sides accused the other of violating a ceasefire. Officials from both sides said the prisoner swap would be one of the most positive signs yet in the civil war. Abdel-Hakim al-Hasani, a senior southern militia leader, said 360 members of the Houthi movement held in Aden would be exchanged for 265 southern civilians and fighters at midday following tribal mediation. An official from the Houthi-run prisons authority in the capital Sanaa said southern prisoners had boarded buses on their way to the exchange venue in central Yemen. Witnesses in Aden said they saw buses guarded by local fighters travelling through the city, apparently heading to the exchange venue. Die seit gestern geltende Waffenruhe im Jemen wird offenbar nicht eingehalten. Wie aus Sicherheitskreisen verlautete, wurden bei Gefechten in mehreren Landesteilen mehr als 40 Menschen getötet. Bereits gestern hatte es kurz nach dem Inkrafttreten der Waffenruhe Berichte über Kämpfe mit Toten und Verletzten gegeben. Die siebentägige Feuerpause im Jemen ist offenbar bereits kurz nach Inkrafttreten gebrochen worden. Örtliche Gruppen sowie die Nachrichtenagentur Saba berichteten, dass am Mittwoch Luftschläge auf Stellungen der Huthi-Rebellen in der Provinz Tais geflogen wurden. Zugleich habe es auf dem Boden Kämpfe zwischen der Armee und den Aufständischen gegeben. Laut offizieller saudischer Nachrichtenagentur SPA wurde ein Grenzsoldat des Königreichs während der Waffenruhe von angreifenden Rebellen des Nachbarlandes getötet. Yemeni coup rebels shelled residential areas in some parts of Yemen and attacked tribal villages in violation of a UN-brokered ceasefire announced at midnight on Monday. The Iranian-backed Houthis and forces loyal to deposed president Ali Abdullah Saleh shelled many civilian areas in Hazm Al Adin town in the Southwestern Ibb governorate just hours after the ceasefire was announced ahead of peace talks which started in Geneva on Tuesday, Yemen’s Marib Press said. “The shelling was so heavy that there was panic and stampedes among women and children in those areas,” the report said, quoting residents. In the Western Dhamar governorate, the insurgents launched a surprise attack on a village, prompting the tribesmen to fight them, the report said, adding that the Houthis and their allies withdrew from the village after heavy clashes that resulted in the destruction of two rebel armored vehicles. It said the rebels also attacked Al Hadaa area in Dhamar but faced tough resistance from the tribes and local residents. “Heavy clashes erupted on Tuesday afternoon…the tribes remained on alert after the rebels retreated and residents said they expect fighting to resume in that area.” Other Yemeni news networks said the rebels shelled many areas in the Southwestern Taiz governorate and Marib in Central Yemen just after the ceasefire went into effect. Kommentar: Gegenseitige Beschuldigungen, die Waffenruhe zu verletzen. In a non-Commitment act to Yemen Cease fire Saudi warplanes have targeted a car in the main road of Baihan in Shabwa province and two people have been killed. Two people were killed on Tuesday by a Saudi air raid in Baihan district of Shabwa province, a local official said. Saudi warplanes targeted a car in the main road of Baihan which caused the killing of two people who were in the car, the official said. The Saudi raids came after the announcement of a ceasefire, which shows the Saudi aggression's non-commitment to the cease-fire, the official added; Yemen News Agency reported. Kommentar: Das Video zeigt ganz verschiedene Ereignisse. Saudi-led air strikes hit positions of the Iran-allied Houthi group in two conflict zones in Yemen on Wednesday, residents and tribal sources said, despite the start of a seven-day ceasefire on Tuesday coinciding with peace talks in Switzerland. "Coalition planes launched an air strike on the positions of the Houthis and Saleh forces in the Najd area of Sirwah district after they repeatedly violated the ceasefire," a tribal source said by telephone from the central province of Mareb. Rebels and pro-government forces accused each other of violating a cease-fire in Yemen, but the truce appeared to be largely holding Wednesday. The accusations included continued ground fighting, shelling by Houthi rebels and airstrikes by a Saudi-led coalition. Yemen's Houthis and the government have traded accusations of violating the truce as they meet in Switzerland to try to end nine months of fighting. Brigadier General Sharaf Luqman, a spokesman for Yemeni forces loyal to former president Ali Abdullah Saleh, said a "serious escalation by land, sea and air is taking place by the alliance in various areas", according to the Houthi-controlled Saba news agency. Luqman said strikes from the sea were taking place on the Red Sea port city of Hodaida, while ground forces continued to carry out attacks on Taiz city, in southwestern Yemen. Saudi have launched airstrikes in the northern Yemeni province of Hajjah in defiance of the truce which came into effect on Tuesday. Clashes also continued in the strategic city of Tai’zz which overlooks the Bab el-Mandeb straights. This comes after reports of further Saudi violations in Hudaydah, Dhamar, and Ma’rib provinces. Airstrikes were also reported around the Mashikh district of the capital Sana’a. The words terror and Islam have been juxtaposed too many times in the media for anyone to believe that it was not by “design.” There has been a war of words against both Islam and Muslims. Its aim is rather simple and only too predictable since it falls within an equation of greed and cynicism. Iraq serves a perfect example. It is again in history we must look to understand how this evil – Wahhabism, came to be in the first place; and under whose influence it first sparked into life. There too, the shadow of imperialism lurks. Kommentar: Die Autorin ist gläubige Muslima und für einen Nicht-Muslim wie mich ist der text stellenweise schwer zu lesen. Dennoch interessant und als eine religiös geprägte deutliche Kritik am saudischen Terror-Wahabismus zu sehen. Saudi-Arabien gilt als Hauptfinanzier islamistischer Ideologie. Gleichzeitig inszeniert sich die saudische Regierung als Anführer einer internationalen Anti-Terror-Allianz. Wie ist das zu verstehen? Saudi-Arabien spielt ebenso wie Katar und die Türkei ein undurchsichtiges Spiel. Einerseits will sich das erzkonservative wahhabitisch-salafistische Königshaus als Schützer der heiligen Stätten Mekka und Medina sowie als Missionsland des Islam darstellen. Andererseits distanziert sich das Land von fundamentalistischen Islamisten, welche die salafistischen Botschaften aus Saudi-Arabien wörtlich nehmen. Unter Kritik stehen vor allem die Geldströme, die aus Saudi-Arabien in alle Welt gehen, um Moscheen, islamische Universitäten und Koranschulen zu finanzieren. Die dort gelehrte islamische Ausrichtung des Salafismus gilt als Nährboden für islamistischen Extremismus und Fundamentalismus. Nun inszeniert sich Saudi-Arabien, das Land, in dessen Bevölkerung es viele Sympathisanten des „Islamischen Staates“ (IS) gibt, als Anführer einer neuen Anti-Terror-Allianz. Die Logik der saudischen Außenpolitik ist einfach. Sie zeigt sich, wenn man die Politik nicht an den Worten, sondern an den Taten misst. Islamistische Fundamentalisten militanter Ausprägung sind nach saudischer Lesart dann kritisch zu bewerten, wenn es sich um Schiiten handelt, die vom Iran unterstützt werden. Dazu gehören die Hisbollah im Libanon und Syrien sowie die Huthi-Rebellen im Jemen. Sogar die Demonstrationen und Proteste der schiitischen Bevölkerungsmehrheit im Golf-Scheichtum Bahrein wurden von den Saudis bereits als Gefahr eingestuft und mit saudischem Militär niedergeschlagen. Doch auch sunnitische Rebellen und Terrororganisationen können von der Führung in Saudi-Arabien als Gefahr eingestuft werden, nämlich immer dann, wenn diese den Sturz des Königshauses in Saudi-Arabien fordern, wie zuletzt der sogenannte „Islamische Staat“ (IS), der das Kalifat ausgerufen hat, das bis nach Mekka und Medina getragen werden soll. Im Grunde genommen verfolgt die saudische Politik nichts anderes als Selbstschutz. Das ist zugleich glaubwürdig und unglaubwürdig. Glaubwürdig ist es, weil jedes Regime zunächst an der eigenen Machterhaltung interessiert ist. Unglaubwürdig ist es, weil die Führung von Saudi-Arabien sich international als moralische Instanz inszeniert. Eine moralische Bewertung islamischer Regime fällt aus westlicher Perspektive generell schwer. Denn wie kann Saudi-Arabien als westlicher Bündnispartner akzeptiert werden, wenn die Gesetze dort ebenso grausam umgesetzt werden wie im „Islamischen Staat“ (IS)? Insgesamt lässt sich eine Tendenz konstatieren. Die Saudis greifen immer offensiver ins Weltgeschehen ein. Durch die Überproduktion an Erdöl drücken sie den Ölpreis und zwingen auf diese Weise Konkurrenten in die Knie. Das bekommt nicht nur der Iran zu spüren, sondern auch Russland und die Fracking-Industrie der USA. Auch das unverhohlen offene militärische Eingreifen im Jemen mit Bodentruppen und Luftangriffen zeigt, dass sich Saudi-Arabien immer mehr als Regionalmacht des Nahen und Mittleren Ostens versteht. Die Saudis können sich das leisten, weil sie nicht nur über gigantische Einnahmen aus dem Ölgeschäft verfügen, sondern in den letzten Jahrzehnten von den USA und Europa mit modernsten Waffen versorgt wurden. Saudi-Arabiens Militär ist bestens ausgestattet. Die Menschen im Jemen bekommen das jetzt zu spüren. Saudi Arabia has pledged a total of eight billion dollars in investment and aid to Egypt over the next five years. Saudi's King Salman "ordered that Saudi investments in Egypt exceed 30 billion riyals ($8 billion)" and that the kingdom "contribute in providing Egypt with its needs for petrol," said a statement published by the Saudi Press Agency on Wednesday. In addition, Saudi ships would "support" traffic in the Suez Canal, Saudi defense minister and Deputy Crown Prince Mohammad bin Salman announced on Tuesday during a visit to Egypt. The pledges come amid Saudi continuous funding for terrorist organizations operating in Afghanistan, Syria, Iraq, Yemen, Lebanon and other parts in the region, as well as the war it launched on Yemen more than eight months ago. Kommentar: Ägypten als braver Verbündeter oder Vasall in der saudischen Koalition im Jemenkrieg. The anti-terror alliance announced by Saudi Arabia inspires confidence in name only. It is very much a top-down project, led by the Defence Minister and Deputy Crown Prince Mohammed bin Salman, who is seeking to bolster the country’s status as a regional player. How involved those 33 will be in any proceedings is up for question. There was no conference to lay the groundwork for the new alliance, and no resources have been committed to it by members, ranging from indebted Chad to war-torn Libya. The US was not informed of the alliance’s creation ahead of time – a further indication that the projection of Saudi leadership is likely to be the motivation here, over and above an increased military commitment to counter terrorism or anything of the sort that would indeed challenge Isis. No plans or strategic objectives were announced. The option is left open to confront political dissent of the kind that threatens many of the alliance’s more despotic members. With so little required from members and so much divergence between them, and with so vague an objective, terrorists have little to fear from Saudi Arabia’s “coalition”. Yemen received a few mentions last night, but none of the references was to the Saudi-led, U.S.-backed war there. The frustrating thing here is that there were many other issues being debated last night that are related to the ongoing war on Yemen. Whatever the reason for this neglect, it means that a major conflict in the region to which the U.S. is a party continues to be overlooked and neglected in our debates. This is all the more unfortunate when the start of U.N.-sponsored peace talks this week provided a good opportunity to talk about the country and the effect of the almost nine-month war that the U.S. has backed there. The New York Timespublished a relevant editorial today. Saudi-Arabien positioniert sich mit Hilfe der USA und auch Deutschlands als Regionalmacht. Die von Saudi-Arabien gelenkte internationale Koalition führt diesen Krieg, um die Kontrolle über den Jemen zu behalten bzw. jetzt wiederzuerlangen. 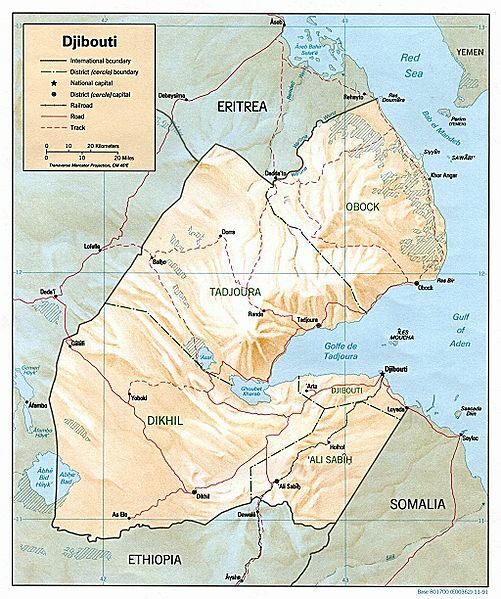 Ein strategisches Ziel ist zudem die Kontrolle des Bab AlMandab, der Meerenge im Roten Meer zwischen dem Jemen auf der asiatischen Seite und Djibouti auf der afrikanischen. Die neue Machtkonstellation im Jemen ist dafür ein Hindernis. Sie haben dazu eine kleine Anfrage (18/6637) an die Bundesregierung gestellt, die Antworten fallen eher allgemein aus. Warum scheut man sich, Akteure und Verantwortliche beim Namen zu nennen? Die Bundesregierung ist über ihre Waffenlieferungen an Saudi-Arabien und Katar indirekt Kriegspartei im Jemen. Deshalb hält man sich auffallend zurück. Saudische Kriegsverbrechen, wie die Bombardierung von UN-Flüchtlingslagern werden weder benannt noch kritisiert. Im Gegenteil: Man ist dem saudischen Herrscherhaus so weit entgegengekommen, dass ein Programmpunkt der jüngsten Saudi-Arabien-Reise des deutschen Außenministers Frank-Walter Steinmeier, an der ich als Vertreterin meiner Fraktion teilnahm, ein Treffen mit der Marionettenregierung des Jemen in der saudischen Hauptstadt Riad war. Die Bundesregierung erkennt diese Regierung an, obwohl die Amtszeit des Präsidenten Hadi abgelaufen ist und eine eigenständige territoriale Kontrolle nicht erkennbar ist. In der kleinen Anfrage geht es um die Rolle deutscher Außenpolitik und Waffenlieferungen, die humanitäre Situation, die Zerstörung von Kulturgütern und um die Golfstaaten. Sie fragen auch nach Aktivitäten von nationalen Staatsfonds (Saudi-Arabien, Katar, Abu Dhabi) in Deutschland und in der EU. Warum ist dieser Aspekt wichtig? Die Diktaturen am Golf nehmen mit ihren politischen Staatsfonds Einfluss in Europa, insbesondere in Deutschland. Diese Beteiligungen sind der Schlüssel zur Beantwortung der Frage, warum die Bundesregierung in diesen verbrecherischen Regierungen am Golf ihre treuesten Verbündeten in der Region sieht und warum man bei saudischer Förderung militanter Salafisten in Europa, gerne wegschaut. Sie sprechen auch Al-Qaida und den sogenannten Islamischen Staat an. Geld aus den Vereinigten Arabischen Emiraten ist offenbar – über jemenitische Stämme – an Al-Qaida weitergeleitet worden. Auf diesen Komplex verweigert die Bundesregierung eine Antwort mit Verweis auf »Gründe des Staatswohls«. Wie interpretieren Sie diese Geheimhaltung? Al-Qaida fungiert in Teilen als Bodentruppe der saudischen Kriegskoalition. Im Südjemen haben sie bereits große Teile der Region übernommen. Es gibt zudem Medienberichte, dass Al-Qaida und der IS im Jemen kooperieren. Für den Fall, dass dies stimmt, wäre eine Unterstützung Saudi-Arabiens, das ja Al-Qaida fördert, mit deutschen Waffen, quasi eine indirekte Unterstützung für den IS. Was ist Ihrer Ansicht nach erforderlich, um Frieden im Jemen wiederherzustellen? Was kann Deutschland dazu beitragen? Wenn die Bundesregierung etwas für den Frieden tun wollte, würde sie die Waffenlieferungen an Saudi-Arabien und Katar einstellen. Wenn der Krieg mit deutscher Unterstützung so weiter geht, ist es nur eine Frage der Zeit, wann sich die fünf Millionen Binnenflüchtlinge im Jemen nach Europa aufmachen. Die Golfdiktaturen müssen gedrängt werden, ihre Unterstützung von Al-Qaida und IS aufzugeben. Deutschland kann einen Friedensprozess wirtschaftlich fördern. Das IWF-Diktat von 1995, das bereits im ersten Jahr dieses Maßnahmenpakets zu einem Anstieg der Ölpreise für die einfache Bevölkerung um 80 Prozent und die Strompreise um 60 Prozent geführt hat, muss weg, sonst werden noch mehr Menschen im Jemen hungern und in ihrem Land keine Perspektive mehr sehen. The Houthis can be part of the political process in Yemen if Iran stops pulling their strings. The government of President Hadi has shown maturity by seeking a truce, which was accepted by the Houthis. The rebels have dragged their feet over talks in the past. It remains to be seen if they are serious in finding a negotiated settlement in the interests of Yemen. The bigger question is whether the Houthis can rid themselves of Iranian influence. The Arab coalition intervened in March this year when it was confirmed the rebels receive moral and military support from the regime in Tehran. The Houthis can be part of the political process in Yemen if Iran stops pulling their strings. This is the point the Yemeni government and the coalition have been reiterating. It's a reasonable demand. But are the rebels listening? Kommentar: Der Text handelt über weite Passagen tatsächlich vom Frieden. Aber ohne Lob für die „abgelaufene Puppe“ Hadi, die die Koalition vor sich her trägt, und die angebliche Iran Connection geht auch das nicht.